“It would have been a good last chapter, but there you have it,” says John Julius Norwich “no one knew it was going to happen.” If the British historian and traveller had published ‘The Popes: A History’ in 2013 instead of 2011, he would have had for his epilogue an event quite unlike any other in the history of the papacy – the resignation of a pope. An agnostic who takes care to establish he has no axe to grind, Norwich (officially the 2nd Viscount Norwich) has met four popes in person and knows the others as intimately. 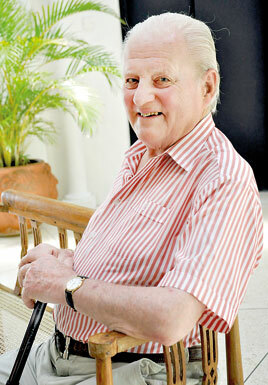 John Julius Norwich at Taprobane Island, Weligama last month. His book touches on the lives of 265 of them and stretches to encompass usurpers and antipopes. Beginning with St. Peter, considered the first pope by many, to his modern counterparts who live in an unimaginably different world as the leaders of a Catholic church over 1.2 billion strong, Norwich gives us a glimpse into the lives of the men who created the ‘world’s oldest continuing institution’ and in the process, helped shape the modern world. Here to speak at the recently concluded Serendip Coast Festival in Galle, Norwich was last in Sri Lanka 20 years ago to visit a friend. 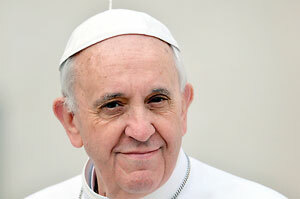 His desire to write a book about the popes is in fact older, an ambition he has harboured for close to 25 years. Norwich resigned from a distinguished career in the Foreign Service in 1964 to become a writer. Despite his religious convictions or the lack thereof, Norwich appears to have a deep respect for the papacy. Of the four popes he has met, the first was at his own dining table in the 1940s. Pope John XXIII (elected in 1958) was then the Papal Nuncio in Paris and a frequent guest at the table of Norwich’s father Duff Cooper and his wife, Lady Diana Cooper. In the wake of his death, conspiracy theories abound. Norwich favours the one that holds corruption in the Istituto per le Opere Religiose, commonly known as the Vatican Bank, responsible and links it to the death of the Italian Roberto Calvi, dubbed ‘God’s Banker’ for his close ties to the Holy See. He believes that Pope John Paul I, a man with an extraordinary eye for figures and a deep rooted aversion to cover-ups, was threatening to upset the applecart. For better or worse, it’s what’s in store for the recently elected Pope Francis, someone who appears to be determined to shake things up a little. (Most recently he made headlines when he washed the feet of two women, one a Muslim, in a notable departure from the Holy Thursday tradition.) For his part, Norwich isn’t anticipating a sea of change. Will Pope Francis deserve his own chapter in histories yet to be written? We’ll have to wait and see. Published in the Sunday Times, Sri Lanka on 14 April, 2013. Words by Smriti Daniel. Pix by Susantha Liyanawatte. Tags: An uncensored history of the popes examines the worlds oldest continuing institution. Bookmark the permalink.